The focus on insurance competition is wrong. The following paragraph says it all. Proponents of the so-called free market for health insurance have no idea what they are talking about. The reality is that we have had free markets since health insurance came into vogue during WWII. Employers have offered choices for decades, Medicare offers choices and Obamacare offers scores of choices in most areas. Consumers are free to buy from many insurers and since there are both federal and state benefit mandates plan benefits are equalized. Yes, these mandates do add to premium costs, but they also lower out-of-pocket cost for individuals. Our problem is too many choices, not too few. If you want consumer shopping while controlling costs, the market competition should be with health care providers as it was, in theory at least, in the early days of insurance. All plans cover the same health care services. Each plan uses its own fee schedule for standard procedures, doctors post or otherwise make their fees known. So, the patient knows that their plan pays $750 for a procedure and they know Doctor A charges $900, Doctor B $1,100 and Doctor C $750. If they are satisfied with Doctor C they receive care with no extra cost. 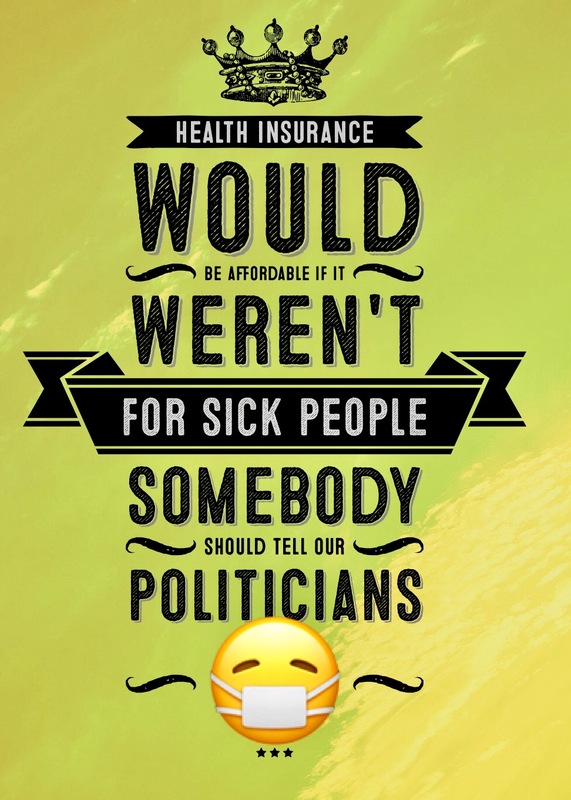 If they prefer, for any reason, Doctor B, that’s their choice and their extra cost. Any Doctor can choose to accept the $750 allowance as full or partial payment. The fee schedule may be updated periodically, but is not driven by a pre-set formula. As patients can rarely shop for a hospital, insurers negotiate bundled payments. The more patients control their own health dollars, the more they can control their own medical care. A free market in health insurance allows them such control by letting them join pools of other like-minded consumers with similar spending and coverage preferences, rather than forcing them into a health plan where the government sets their preferences for them. I think another example that proves your point is life insurance. On the open market your rates are based on the insurance companies grouping “risks” together, that is smokers, medical conditions, etc.. I am not saying that the insurance companies are wrong. They need to collect their money over a period of years to provide the benefit and certain health factors such as smoking shorten that time period. However some medical issues are just the luck of the draw such as some forms of cancers and the result is that those people are left without affordable life insurance unless they are in a large employer sponsored plan with many people to spread out the risks to the insurance company. So I agree that the way to cheaper health cost is to shrink the number of choices of health plans but going to a single payer plan is too few. There would be no reason to control costs or costs would be dictated to the point of driving providers out of business.